A beautiful vintage lace folded personalised wedding invitation. Can be decorated with little pearl (optional). 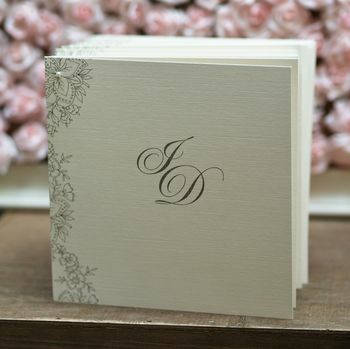 Folded wedding invitations with a pretty lace design. Available in grey, pale pink or pale blue print. 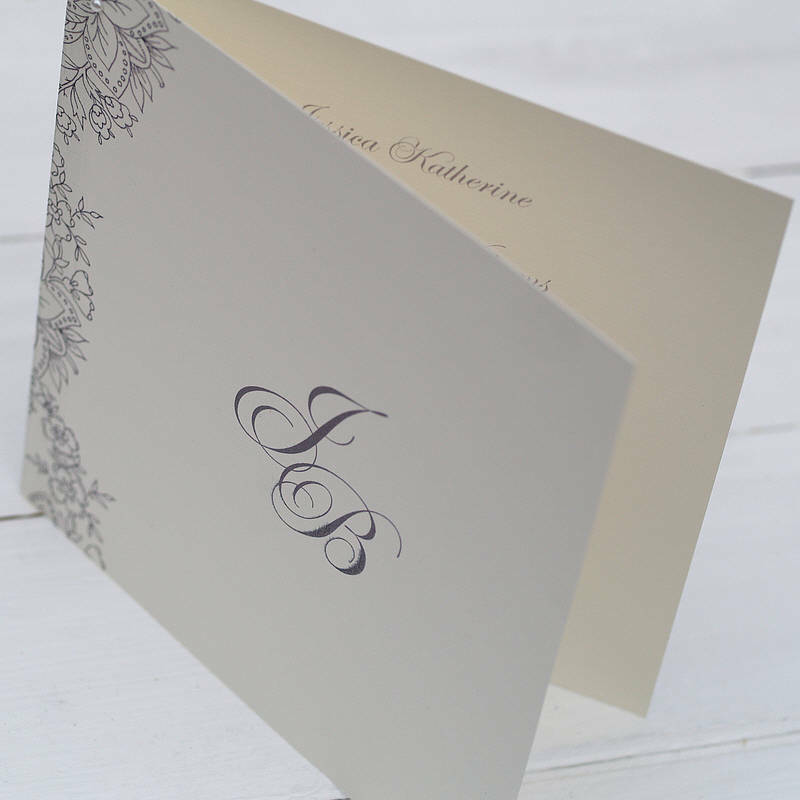 Printed with your initials on the front and personalised wording inside. 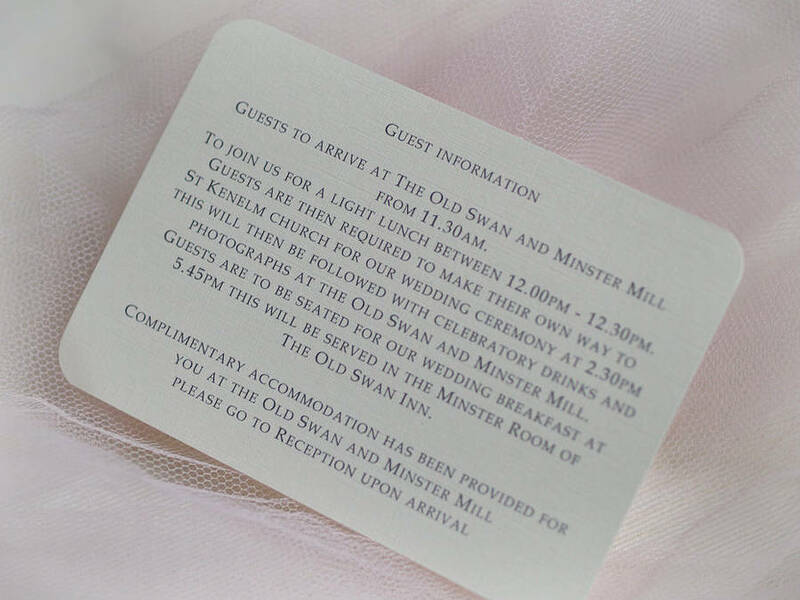 Optional extra's include RSVP cards, thank you cards and insert cards, little pearls, you can also have the invites personalised with guest names, these options are all available from the drop down menu. Also perfect for engagement, anniversary and birthday parties. A Jpeg file will be sent to you within 2-3 days, for you to check the ALL is correct followed by a hard copy. (Full approval is required for printing). 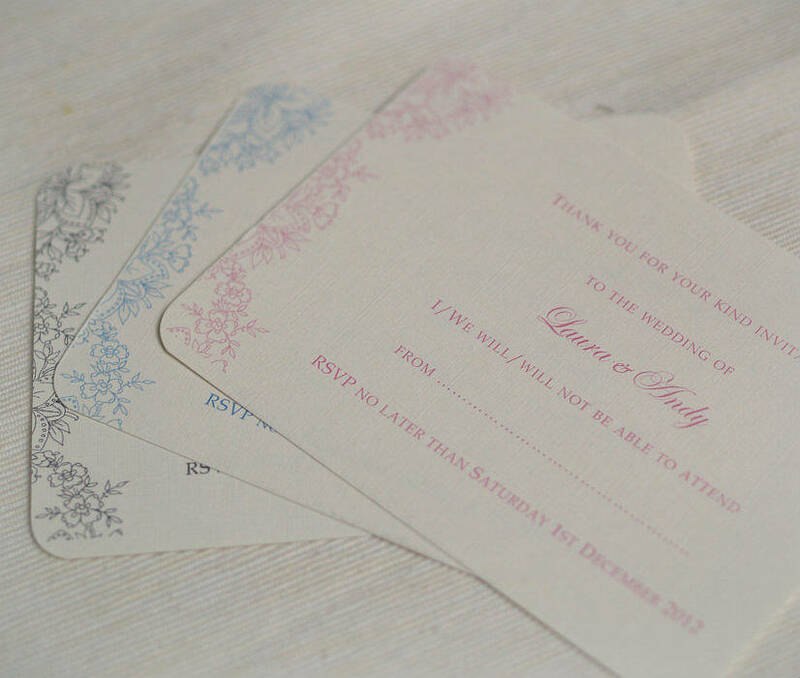 Available in as a flat or folded card, please select from the drop down menu. This gives you the opportunity to make any last minute changes to the wording and correct errors if needed. 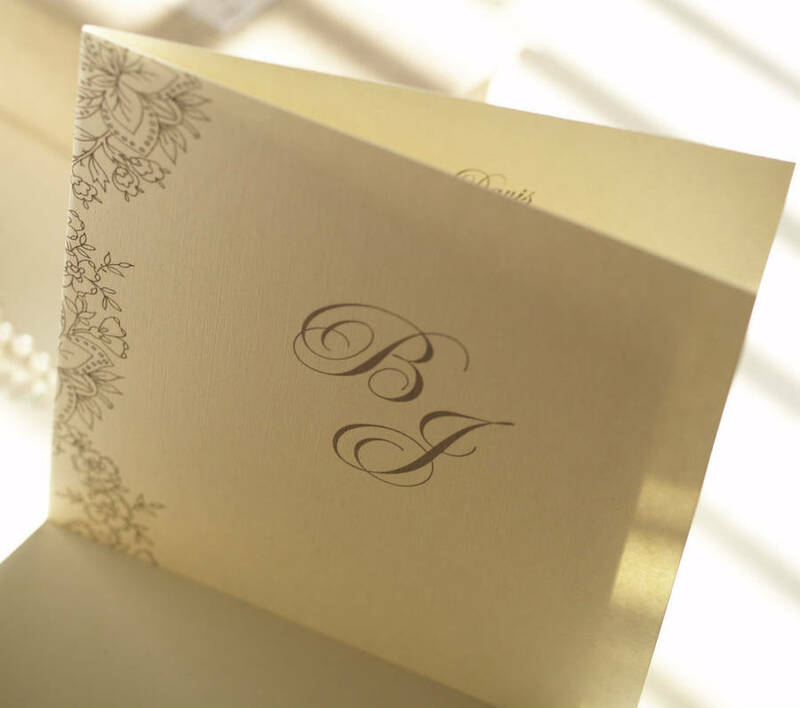 Once approved, your finished stationery will be delivered within 5-7 days depends on the job is involved. This design can be personalised for any occasion e.g. Wedding, Anniversary, Engagement and Birthday Party. Printed on a silkyweave textured ivory 260gsm card.